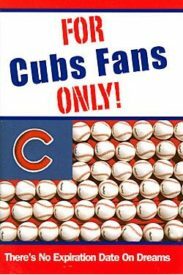 Looking for the perfect gift for any Cubs Fan on your list? Filled with poignant stories from Joe Maddon’s childhood and college friends, teammates, and players he coached in both the minors and major leagues, this is a book that gets you inside what really makes this legendary man tick. It’s a great way to celebrate the historic 2016 season with on and off the field stories of an amazing life in baseball. $8 of your $29.95 purchase will go back to Special Olympics Illinois! When you remove the dust jacket / book cover it folds out into a HUGE Poster! Enjoy this hilarious cartoon poster of Wrigley Field. Click on the poster now to take a look! 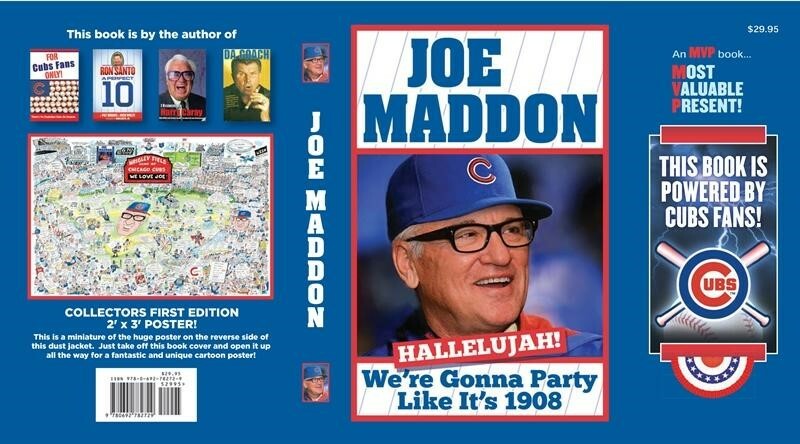 “Joe Maddon” is not available in any stores or on Amazon. Author Rich Wolfe is the number-one selling sports book author in America the last 17 years. Even though he can’t type and does not use a computer or the Internet, Rich has written 52 books, mostly all in the sports area. He usually does not put his name on the cover of the book, but he does put his cell phone number in each book.